That smile stayed on all day! Stephens 0204, originally uploaded by harmonweddings.com. I don't remember him doing anything but smiling. Well, no... The whole day! And what a beautiful day it was at Duncan Memorial Chapel. 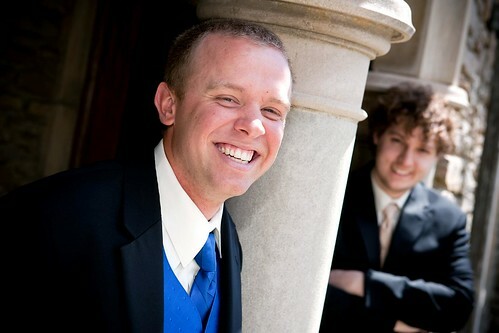 I pulled Josh and his Best Man, Charlie, aside for a little mini session while waiting for something or other... Anyway, we put the few minutes we had to good use.